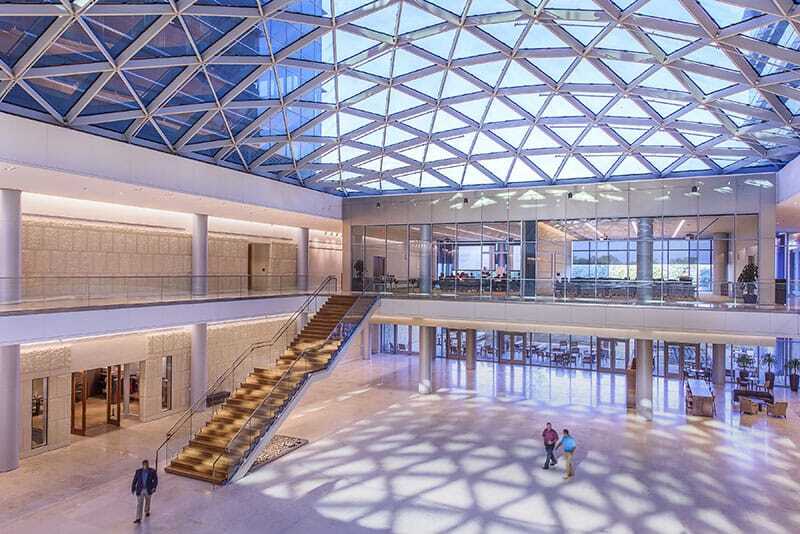 Gilbane’s use of innovative technology in the field streamlines efficiencies in coordination with subcontractors and architects ensuring a time and cost savings impact to the project. 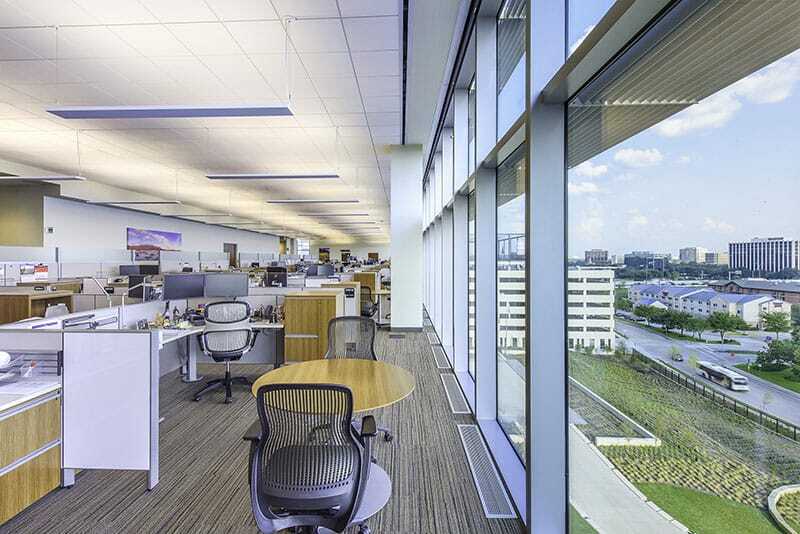 Phillips 66 hired Gilbane to take over construction phase services as the General Contractor for their Headquarters project that was already underway. 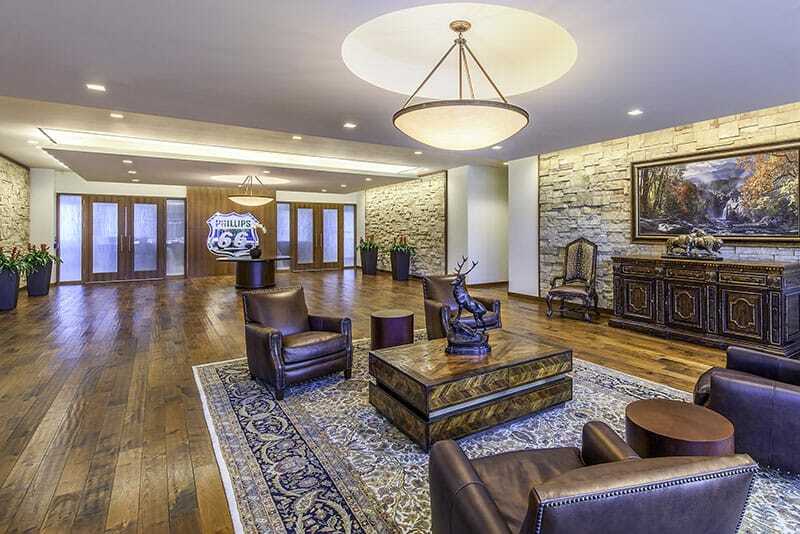 The new corporate campus is 2 million+ SF and accommodates approximately 1,800 employees. The project is on 14 acres and encompasses multiple buildings, including 14-story and 16-story office towers and a parking garage. Each tower is equipped with raised access flooring on each level and includes demountable partition offices to allow for maximum flexibility of the space and ease of maintenance. The executive center in the South Tower features a large stairway, board room, executive suites and executive conferencing. The project was targeting LEED Silver Certification but surpassed the necessary points and is awaiting final LEED review. Sustainable features include the unitized curtain wall system, which was prefabricated as modular units off-site. Other features include energy efficient MEP systems and use of regional materials – also much of the construction waste was recycled. The enclosure system balances the need for daylight and views with the need to provide a highly effective enclosure system that reduces the high cooling load of the Houston environment. Stone walls at the base of the building are highly insulated. High performance glass is utilized in the curtain wall system along with exterior shading devices. Fritted glass on the exterior stair towers and the large skylight help mitigate solar heat gain. The project achieved over 2 million man-hours without a Lost-Time incident. 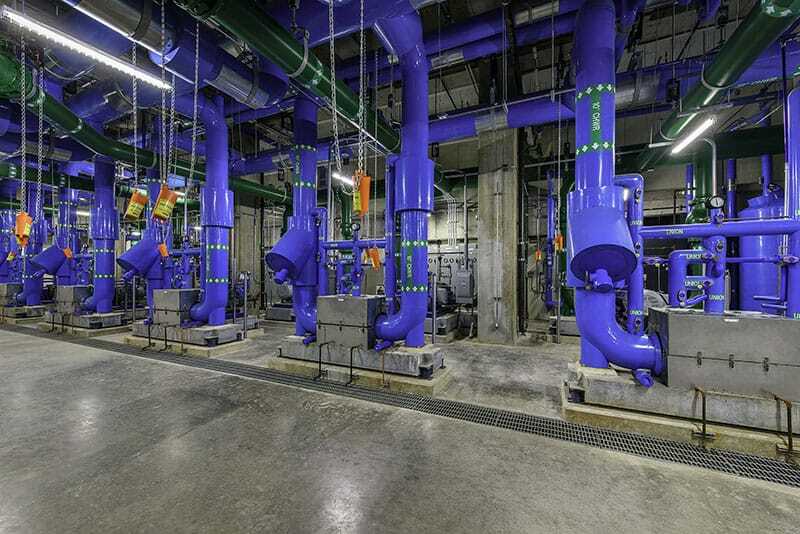 Gilbane provided several Virtual Design and Construction (VDC) services for the project including 3D modeling of MEP systems. The use of 3D models in Revit and Navisworks allowed for more detailed coordination between the MEP subcontractors, the engineer of record and the architect which lead to fewer issues when systems were being installed in the field. This service further included the creation of iPad models of the coordinated areas for superintendents, project controls staff, and project managers to use in the field to verify installed systems. Gilbane also provided Laser Scanning services on the project. Using our VDC team’s in-house laser scanners, we were able to scan key areas of the building to get a very accurate as-built conditions that we could, in-turn, overlay with our 3D models to extract information on what had deviated from the intended locations during construction. This process was very beneficial to the team, as we were coming into the project after it had already begun, and being able to do these investigations of the structure as we came on site allowed for a more efficient turnover of the construction activities – ensuring best quality and time savings for the continuation of the project.